One of the joys that comes with learning foreign languages is reading books in their original language. Some people may even start learning a new language solely for this purpose; they hope one day to enjoy their favorite books in the language in which those books were originally written. It is easy to find a good Russian textbook on Amazon or any other major online marketplace (here, for example, is my cherry-picked collection for you), but finding authentic fiction in Russian could be quite challenging. There are some books in Russian on Amazon. However, the price is not always adequate. Even thrift bookstores cannot boast a good selection and pricing on foreign books. The good news is that you don’t have to rob a bank to enjoy authentic books in Russian. And you don’t have to compromise your security and safety by downloading pirated books. Many books are legally available for free, and in this article, I’ll list some of the best online libraries in Runet (the Russian segment of the Internet). 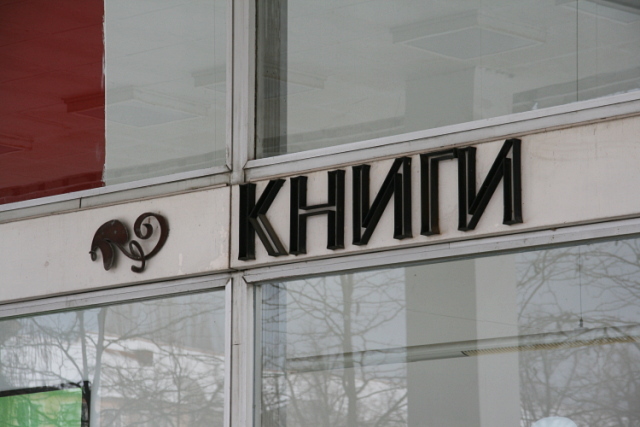 Lib.ru also known as Maksim Moshkow’s Library (Библиотека Максима Мошкова) is the oldest library in Runet. This is my first choice when I need to look up a quote or have an urge to read a specific book. I can find almost any book there. Maksim Moshkow, a programmer and a founder of Lib.ru, believes that the copyright law does a lot of harm to culture, and it’s mostly publishers who benefit from copyright restrictions. Books are added to Lib.ru by users who send scanned and processed (OCR, proofread) texts. Due to this method, Lib.ru has been growing fast, and today everyone can find a great variety of books from Unix textbooks to Russian classics, to Soviet and modern sci-fi. All books in Lib.ru are free, can be read in a browser, but are not for download. Pro: Large selection of books, including non-fiction. Con: Books are not available for download. Library.ru (Интернет-билиотека Алексея Комарова) – If you are looking for the Russian classics, look no further. Library.ru is a small, but very decent collection of Russian writers of the nineteenth to mid-twentieth century. It all started as an online magazine dedicated to the Russian classic literature, but over time, Aleksey Komarov, the founder of the project, transformed it into a library. He takes pride in publishing proofread, mistake- and typo-free texts along with all the references and footnotes, just what you would expect from actual books in a good library. Pro: Highly accurate texts that keep footnotes, comments, and references of original books. Con: The choice of books is limited to selected Russian writers of the nineteenth to mid-twentieth century. Books are not available for download. Aldebaran (Электронная библиотека “Альдебаран”) is one of the biggest and most popular online libraries in Runet focusing mainly on fiction and entertainment, but also offering non-fiction books on history, psychology, science, and more. You can read books in your browser in a very convenient built-in reader, or download them in any of the popular ebook formats (epub, fb2, rtf, mobi, pdf). You can register and keep your reading journal there, but registration is not required. You still can read and download any book from the website for free. Aldebaran also features a good collection of audiobooks (free mp3 or listen in a browser) and, when available, videos from YouTube. If a physical copy of a book is available in a partnering bookshop, Aldebaran posts links to the shops where you can buy it. Book reviews, ratings, catalogues, and collections by topic – all that makes Aldebaran a community of book lovers. Pro: Great choice of fiction books. Download in many various file formats, including audio. Con: Overloaded with ads of partner bookshops. Read Tolstoy online (Лев Толстой) – It is impossible to talk about the Russian literature without mentioning Leo Tolstoy. Probably the most popular Russian writer in the West, he was extremely productive, and all his 174 works are now available for download for free from the website dedicated to his legacy. All ninety volumes, including Tolstoy’s diaries, letters, and non-fiction works, are offered in epub, fb2, rtf, mobi, pdf formats, but you can also opt with reading the scanned books in a browser. The State Museum of Leo Tolstoy, together with ABBYY software and other partners, did tremendous job and managed to keep the digital archive free for everyone – in a true Toslovian spirit. Con: English version is still under construction. Russian Sci-Fi (Русская Фантастика) – Science fiction in Russia and the Soviet Union has never been about action; it’s been more about envisioning the future and mentally conducting sociological experiments. At least the best works in this genre are like that. If you fancy sci-fi and want to read something more lively than Tolstoevsky, check the Russian sci-fi website. It looks a bit outdated, but the collection of books there is impressive. Due to copyright issues, some books are only partially available for download, and some are not available for free at all, but in this case, the website provides a link to a store where you can buy the books. The website features many of the community features that can give you the sense of how important sci-fi is for the Russian readers. Pro: Large collection of Russian sci-fi books. Con: Poor interface. Some major works in this genre are not available for free.